Toyota is close to acquiring two robotics companies from Google, according to a report in Wednesday's Nikkei newspaper. The newspaper said the two companies are in final talks, but details are yet to be discussed so the deal could still fall through. 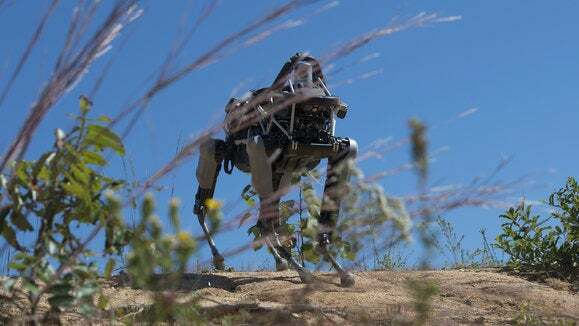 The deal would see Boston Dynamics, a developer of advanced two- and four-legged robots for the U.S. military, and Schaft, a Tokyo-based developer of humanoid robots, transferred to the Toyota Research Institute. The unit is a recently launched billion-dollar research arm based in Silicon Valley. Google acquired Boston Dynamics and Schaft several years ago as part of a push into robotics, but that hasn't gone anywhere since robotics head Andy Rubin left the company in late 2014. Toyota has been researching robotics for more than 10 years and the acquisition of the Google units would give the company access to cutting-edge robotics development, especially in the field of humanoid robots. Toyota already has ties to Google's robotics work through two key staff members it recently hired. Gill Pratt used to run the robotics challenge contest at the U.S. Department of Defense's research and development arm, DARPA, in which both Google companies participated. He joined Toyota in late 2015 to launch and run the Toyota Research Institute. In January this year Google's then head of robotics, James Kuffner, left the company to join Pratt at the research center.